I’m back! This past week has been craaazzzyyy. I went school shopping on the 17 for the last bit of school stuff and dresses for rush week. Then on Tuesday I moved back into my dorm, I’m in an apartment style two person suite, so I have my own bedroom and bathroom (woohoo!). I drove myself to college and it took me like 5 trips to get all my stuff up to my dorm and I only had a few hours before I had to leave for night 1 of rush! We only have four sororities at my school so rush week is only 4 days: 3 days of meeting the sororities and then bid day where hopefully you get into a sorority and hopefully it’s the one you want! It was crazy stressful, overwhelming, and amazing! I found my home and my sisters with Alpha Xi Delta :). Now that all the craziness of moving in, rushing, and getting ready for classes to start I will be posting regularly again! So anyway, to today’s post! 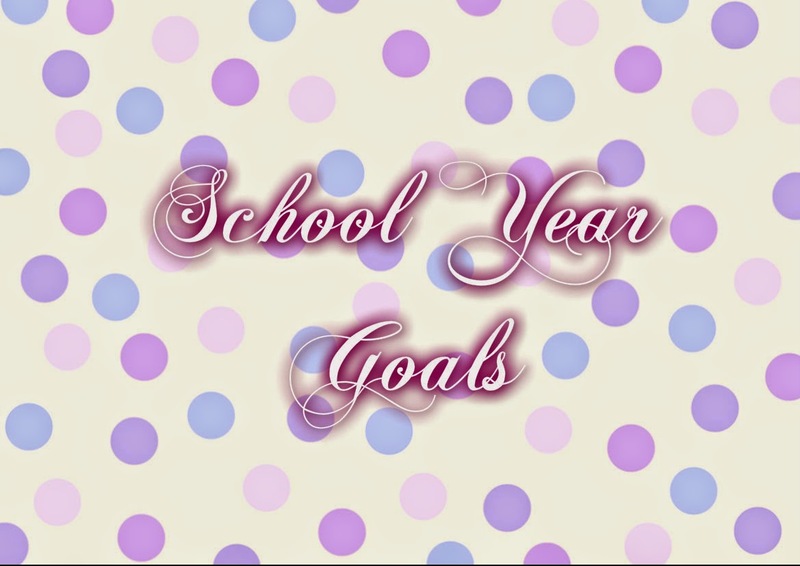 Every year I make goals for the school year and I sometimes make them (like getting good grades I always meet) and sometimes I forget about them and don’t do them. Maybe this year, actually posting them online will help me make sure I do them all! Last year I was an engineering major and I had a horrible time. It was so difficult and I learned too late that I don’t like science so I was struggling like no other. I was miserable! So at the end of the year I changed my major to English and felt so much better. Even though I didn’t do terrible freshman year (I have a 3.28) I didn’t do as well as I would like. So since I’m in classes I enjoy and I’m excited about school this year I want to make straight A’s to get my GPA up to a 3.5. Goal #3: Go to every class and be at class 5 to 10 minutes early. Skipping class is easy, we all go through the cycle of “I’ll just skip this one class today and it’ll be a one-time thing” only to end up never going to that class. Let’s not do that this year, let’s go to all of our classes and even be kind of early! We have a really nice rec center with a rock wall, a pool, and apparently a sauna. There are also many different classes, I want to go to the yoga class in the morning (7:30 AM…ouch) but I think it would be good for me to go through a relaxing yoga class before going to my actually classes. Plus yoga is good for the mind and body and is actually really toning and strengthening. I didn’t do anything last year, I didn’t make any friends, join any clubs etc. This year that’s changing, I will be joining clubs and getting involved. The first step for me was going to rush and joining a sorority, so I guess I can like halfway cross this off because being in a sorority means being super involved in college life. We’ll see what else I join. Tell me in the comments what your goals are for this year? Omg.. you've read my mind! I also struggle lots with keeping to those 'exact' goals.. and wow! You're majoring in English! cool.. I'm guessing you'd like to do sth in writing? Kind of reminds me of Amir, the main character in 'The Kite Runner' who also majored in English and became a successful novelist.. he loved writing since childhood.. anyway, great blog!